Steep sustained summit climbs, long fast descents, vehicle traffic, distance and dry hot weather during the summer months. 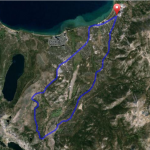 Among local and professional road cyclists this is a favorite endurance road bike ride that travels by high alpine meadows, Hope Valley, and along the Eastern slope of the Sierra Nevada Mountain Range. It challenges the rider’s ability for sustained steep climbs, long fast descents, distance, and elevation gains. The popular direction of travel is counter-clockwise. The route travels west from Stateline along Pioneer Trail where you will junction with Hwy 50 in Meyers, and turn left. 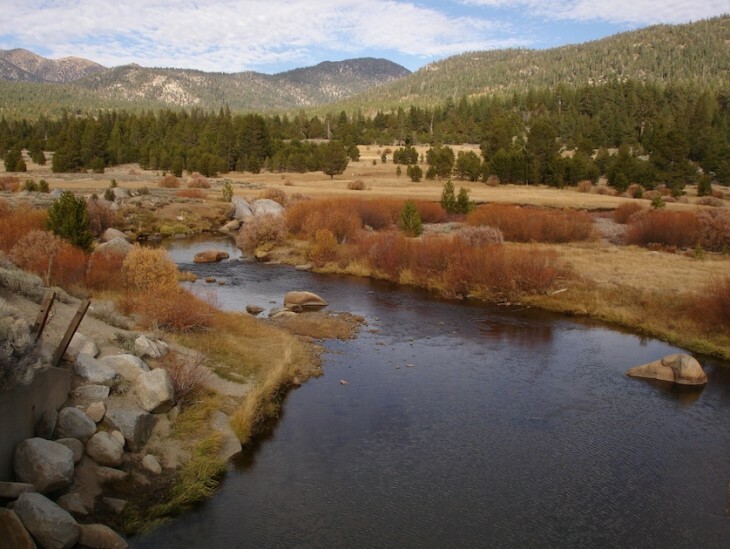 Continue westbound on Hwy 50, crossing the Truckee River, and shortly turn left on South Upper Truckee Road. 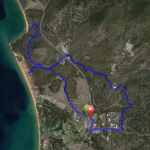 You will cross the Truckee River again and immediately climb a steep single lane road for 1 mile to connect with Hwy 89. 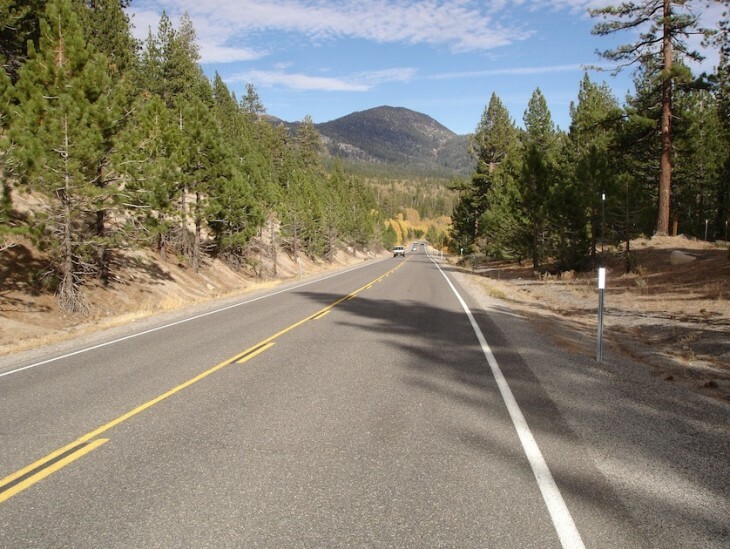 Turn right on Hwy 89, Luther Pass Rd, and ride over Luther Pass (7,735’) and prepare for a long descent to Pickett’s Junction (Hwy 89/88). Turn left at the junction (Hwy 88) and descend the Woodfords Canyon. Just past Woodfords, about a ¼ mile, turn left on Emigrant Grade. When you junction with Foothill Rd turn left, left on Kingsbury Grade NSR207, and then left on Hwy 50 back to Stateline. This is singularly the most historical ride in the region. All the state highways, (50, 89, 88, 206, and 207) were formerly Pony Express and emigrant trails traveled by horse, covered wagons and freight wagons en route to the gold fields in the West and the silver mining industry in the East at Virginia City. You will travel along the California Trail/Lincoln Hwy, pass Celio Ranch, and Hawley Grade National Heritage Trail where the emigrants had to disassemble their wagons and pull them up to Echo Summit. Luther Pass was an alternate route to Echo Summit (via Hawley Grade) for the pioneers who didn’t want to pay the toll fees at Kingsbury Grade or Van Sickle Way Station. When you intersect Hwy 88 and turn left, at Pickett’s Junction, you have entered the Emigrant Trail/Pony Express Trail. At the base of the descent, is Woodfords – the birthplace of Dat So La Lee, the famous Washoe basket weaver. Later, explorer John C. Fremont traveled through here in the 1840’s naming the area after his scout Kit Carson. 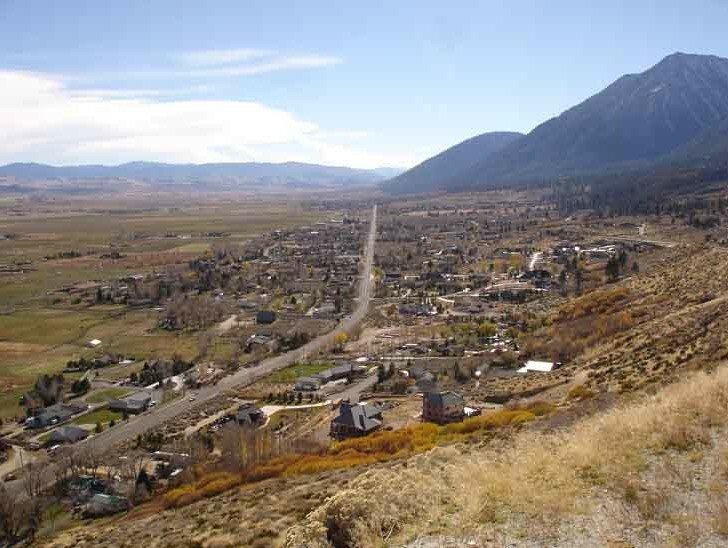 The first white settlement in Alpine County was here in 1847. The Mormons established this emigrant route when they were looking for an alternate way over Echo Summit as they returned to Genoa from the gold fields. 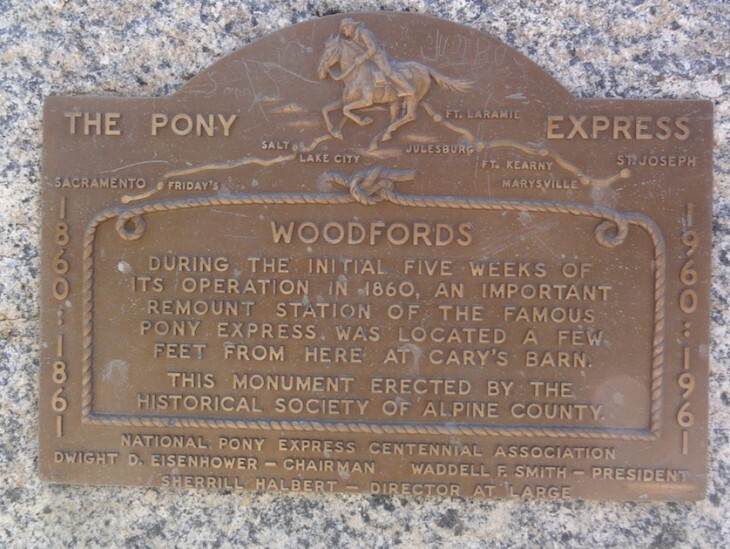 Woodfords Station became a Pony Express Station in 1860 and today there is a historic plaque honoring them.